Founded in 2005, a part of Cosmic Networks Ltd, CosmicMarketing.com was built to meet the ever increasing demands of our software, design and hosting customers. Many of our customers were asking us similar questions for website promotion. Our research was showing us that although there is lots of marketing information scattered around the internet, there were not any easy to follow, clear cut guides bringing all the information together. CosmicMarketing.com is designed to fill the void. Not only telling you about the different forms of internet marketing and promotion, but giving you step by step tutorials on what to actually do. Also providing supporting services to go with each form of marketing, with the aim to allow you to choose what you can afford to pay someone else to do, and what you can do yourself. This site is itself used to train new members of Cosmic Networks Ltd staff in the art of internet marketing. We will endeavor to keep this site up to date with all the latest internet marketing tools and techniques. Although there have been contributions from several people. The main author of this site is Lyle Hopkins. Managing Directory of Cosmic Networks Ltd. Lyle has had more than 6 years experience in online business. With profecient skills in web design, web programming and internet marketing. From his first site 'Lyles Script Archive' back in 1998 (now ComsicScripts.com) offering free cgi scripts, Lyle worked closely with internet entrepreneurs and SME's to develop useful and effective web site applications. As his skills progressed he launched CosmicPerl.com in 1999 offering several website applications to help e-business succeed online. The most popular product he developed was an affiliate software package called AllAffiliatePro allowing e-businesses of all sizes to take advantage of affiliate marketing. In 2003 AllAffiliatePro.com was launched, and developed into the leading affiliate software provider in the UK. The same year AllAffiliatePro was highly commended at the BusinessLink e-Business awards in the UK. Lyle now found himself working closely with customers to meet their sites marketing needs. Not only with affiliate marketing, but with all forms of internet marketing. The experience and knowledge he gained in internet marketing making his sites successful and his clients sites successful have been put into this site. 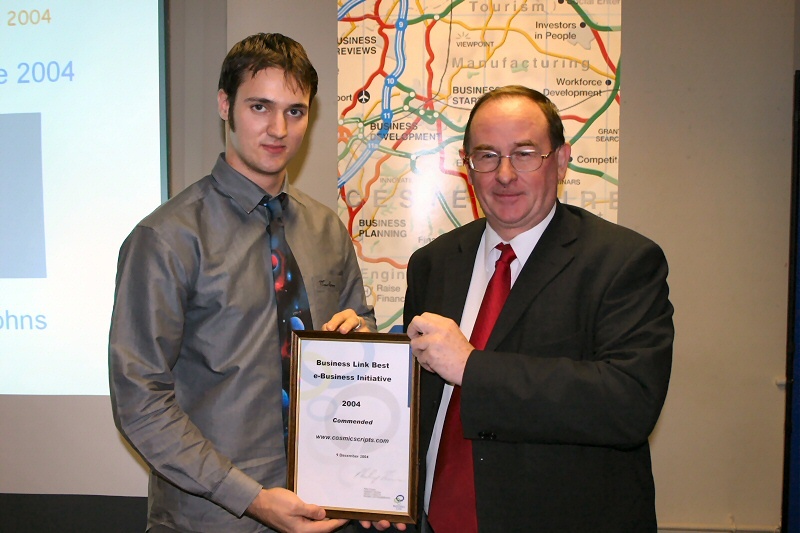 In 2004 the revamped CosmicScripts.com was also commended at the BusinessLink e-business awards (click here for photo). Now in 2005 with the creation of Cosmic Networks Ltd and the launch of CosmicMarketing.com Lyle hopes to win this years e-Business awards with this very site. 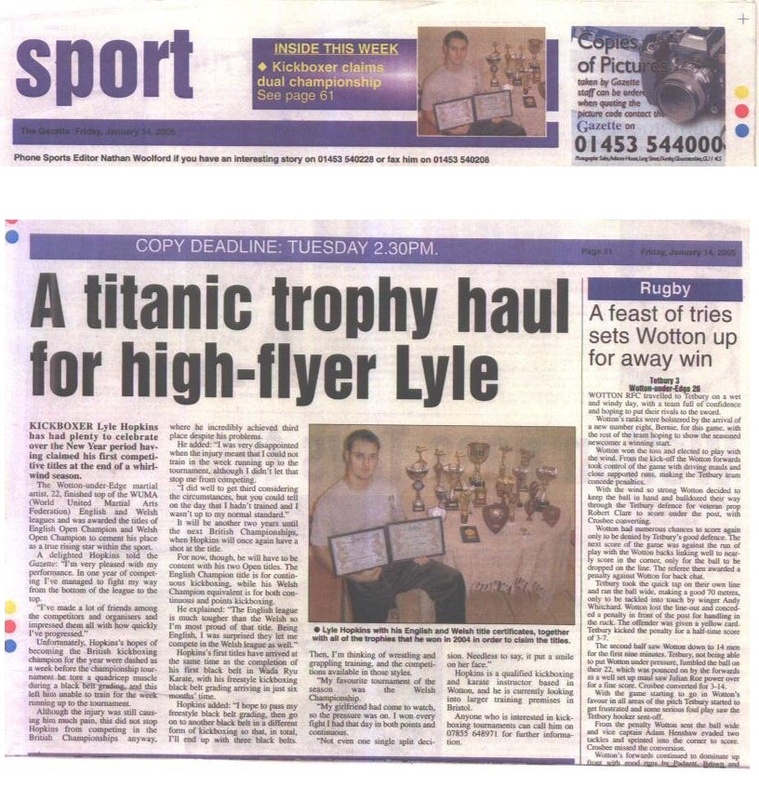 On a side note at the end of 2004 Lyle won the WUMA English Open series, to become the English Kickboxing Champion (click here for press). When he launches a site he want's it to be more than a success. He wants it to be the best and he's literally willing to fight for it. If you have any questions or comments, or would like to get in touch then contact us here.